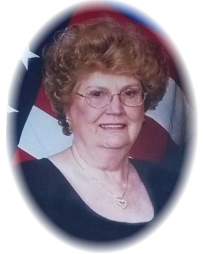 Mrs. Jacquelynn B. Davis, age 84 of Conyers, Georgia passed away Saturday, December 1, 2018. Mrs. Davis was born on May 9, 1934 in Milner, Georgia. She is preceded in death by her parents, James William Bishop and Annie Womack Bishop; her first husband, Clarence Eugene “Gene” Maddox; her second husband, Leon Davis; her daughter, Laurie Cavender; brothers, Howard Bishop, Milton Bishop, Hamlin Bishop, William Bishop, Merrill Bishop, Harvey Bishop; sisters, Ora Mae Smith, Leona Martin, Mary Wiley, Elizabeth Martin, Catherine Ross. Mrs. Davis was a 1951 Graduate of Milner High School, was one of the first women to attend Gordon Military College, taking business classes. She was formerly employed as a Legal Secretary for the Law Offices of William Johnston. Mrs. Davis was an avid Braves fan, porcelain doll maker and collector, she loved quilting, china painting, oil painting as well as playing the piano and organ. She attended Rock Springs Church. Visitation for Mrs. Jacquelynn B. Davis will be Wednesday, December 5, 2018 from 12:30 pm until 2:00 pm at Conner-Westbury Funeral Home, with a funeral service following in the Chapel of Conner-Westbury. Pastor Billy Moss will officiate. Interment will follow in Lamar Memory Gardens.